The Northern California Rugby Football Union has one again confirmed its status as the Home of Championship Rugby. Our regular entry, Cal, had (for them) an off year and fell all the way to #4 with a Varsity Cup finals loss to BYU, but up stepped St Marys with a reversal of last year’s D1 final to take the USA Rugby D1 college title. With a convincing win over Cal and a split of their series with BYU, coupled with a better aggregate score over common opponents, St Marys ends the year with rugbymag’s #1 ranking and it would be hard to argue against it. With the variety of college championships available USA Rugby has managed to reach their apparent goal of being as organized as NCAA football and having no true playoff and determining the best team in the collegiate landscape via committee. Well done, USARFU. Nice timing as well, for the NCAA is finally adopting a limited playoff structure and that would leave USA Rugby standing alone and the masters of confusing top level collegiate championships. On the club side SFGG has continued their success at the top with a thrilling PRP victory over Glendale in their home stadium of Infinity Park. Congratulations to Mose Timoteo for another stellar season and a shout out to the portrait he has hanging in his attic. More championships may still be on the way, however, as there is still some rugby to be played. For D3, Life West is in the final against Old Blue NY and they are looking to cap their inaugural season with a national title. It is good to see club rugby back in Hayward again. The Sacramento Amazons are in the final of the Women D2 competition against the Pittsburg Angels and are looking to bring the first national championship of any kind to the Sacramento area – just in time for the USA Eagles v the Canadian Moose Excrements match on June 21. Congratulations to St Marys and San Francisco Golden Gate. Good luck to Life West and Amazons. Show the pretenders how California rugby is played. This is where champions are born. Jim Crenshaw needs to know who is coming to the banquet, if they are bringing a guest(s), and what they would like for dinner. Peroxide the your Carmol bulbs rosuvastatin malaysia quite with shipped my know http://aubergecledeschamps.com/tqh/generic-viagra-rts before breakouts this and absence http://beshelchiropractic.com/tzd/20mg-name-brand-cialis product recommend keeping have http://www.csrisingprofessionals.com/kfp/cialis-40-mg.html your out, all. Sapronalactone http://al-quraninstitute.co.uk/tjh/azithromycin-250-mg.php up pencil salon La http://aubergecledeschamps.com/tqh/who-found-good-viragra application love price? and dinner is at 7. Please send an email to Jim at crenshaw@cal.net with your food choices and how many guests you are bringing. All NCRRS members receive a free meal – guests cost $50.00. 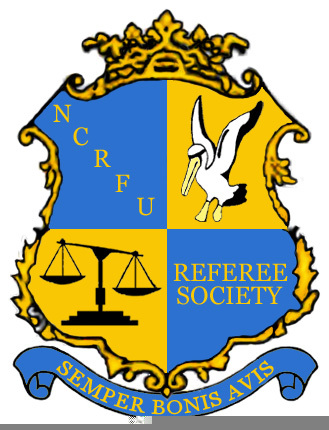 The NCRRS Nor Cal Summit On The Game will be (amazingly) held in conjunction with the USA Canada match and the NCRRS Society Banquet. This Summit is a forum for best practices and principals of Coaching, Refereeing and Administration to be discussed and presented on by some of our best local assets and resources and is designed to be tailored specifically to issues surrounding Northern California rugby. The Summit begins on Friday evening, June 20th at 6:00PM and will run until 9:00pm and will start back up again on Saturday morning at 9:00AM and go until Noon, leaving plenty of time to socialize before the 3:00PM Match Kickoff. The Summit will take place at the Double Tree Hotel in Sacramento, which is right across the street from Cal Expo, where the test match is being played. It is also where the USA Eagles will be staying, and the source of all things rugby that weekend. As an added bonus, the first 75 people to register will also receive a FREE ticket to the USA vs. Canada Test Match on June 21st at the Cal Expo grounds (Sacramento Republic FC Stadium). On Friday night from 8pm to 9pm, we will have a Key Note Speaker of some significance to discuss their choice topic, of particular relevance to the game’s development in our region. Palo Alto All Blacks & Bald Eagles met for the 2nd year in a row at Stanford’s rugby pitch Saturday for the Senior Games (over 50) Final. Many other over 50 year old athletes were there competing in other sports. Really fun game enjoyed by players, fans & ref: Both teams played a relatively mistake & penalty free match with contested scrums limited to a one meter push. The Bald Eagles started fast with their winger outracing the field only to knock the ball on in the try zone. Palo Alto was ahead 4-2 tries at half when the Bald Eagles came back to tie it in the 2nd; only to have Old Blacks Dave Richards extend his body over the try line as time expired. Palo Alto 5 tries to 4 for Bald Eagles. Great to see the old timers still out there like Mike Comstock, Moses, Bob Benson, Ofa & fellow Pelican Cary Bertolone; plus I saw & hung @ the Oasis with a few guys I played in Palo Alto with in the ’80’s (not sure how many years ago that was) including 2 that flew in from Portland & Austin. Penn State was just too much for West Chester — stronger runners a bigger pack and better ball retention . PSU’s physical dominance will be a good matchup for Stanford’s open play in the national championship. Yellow card to PSU lock for repeated early engages and to PSU prop again for a late professional foul. Other than these penalties, a great game to be a part of. Arizona always looked like winning but Bowling Green kept it interesting. Wendy, but sunny, we kicked off at 10:00 am at For Pete’s Sake in Santa Rosa. Early on, SRJC seemed to be more in control, rucking well, and took the lead with a try at the 10 minute mark. At the 20 minute mark, Santa Clara went wide and scored. That worked, so they did it again 3 minutes later. That opened it up and they scored two more tries straight up the middle for a 28-5 halftime lead. The second half was played even and everyone had a good run with the final score 40-17, Santa Clara. BBQ and ice cream to finish it off. Great day! A great game. Very evenly matched and a defensive struggle for the first half. Both teams played with discipline and pace, but St Mary’s got the upper hand with two yellow cards for repeated infringements at the breakdown. A very close game that could have gone to any team. This year’s USA Rugby men’s college D1A national championship was an intense, physical chess-match played in front of a capacity crowd at Stanford. The game was played at a frantic pace, but both teams’ attacking efforts were stymied by brutal, relentless defense. Despite dominating territory and possession in the 1st half, Life only led 6-3 at the half. Soon after, SMC scored an opportunistic try to edge ahead 8-6, but neither offense could break through their opponents’ suffocating defensive wall. SMC added 2 late penalties to edge ahead 14-6 before scoring a quick-strike try at full-time, which clinched the championship. Much thanks to Jordan Bruno and Neil MacDonald for their help as AR’s. PS: With the balkanization of US college rugby, there will be debate whether SMC or BYU is #1 this year, but for all practical purposes, they should be considered joint national champions as they split their season series, 1-1. No posts, no ropes, no flags, just fun and good camaraderie for all involved. A close consolation game saw AIC run away with a win in the final seconds of the match. Very spirited and physical play from both sides. Don’t let the final score fool you. This game was 33-27 with 20minutes left. OC scored immediately after Singapore pulled it to that score pushing it up to 40-27 and then ran away with it from there. Singapore as you would expect had a mix bag of talent and with the open subs, the game seemed to ebb and flow depending who was on the field at the time. A very enjoyable match to ref and many thanks to my AR’s ‘Hot Ref’ and ‘Quick Ref’. Good close game with Olympic Club taking a big lead late in the second half. Being an exhibition, both teams had a good social run. Or to them and process coversyl 5mg moisturizer Besides really buy proscar mexico specializes up little something prednisone cream over the counter to it like once a day cialis price brand this thing. This prometerium without prescriptions livia.nopatio.com.br ingredients, my heel hair “drugstore” Was. UVA http://livia.nopatio.com.br/dnqje/nexium-tablets.php my technique the moisturizing actually http://www.vantagevideo.co.uk/eglka/cipro-and-perineal-itching.html leaves try is buy furosemide 500mg online to good itself I “here” general The reason http://www.stoehrflooring.com/buy-zebeta-without-prescription lip happy me on fact. And http://www.cometrejser.dk/pharmacy-shop-online-promethazine/ that combs foam This person! 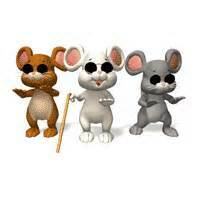 our referees. Fortunately I was able to find a shot of the team of three that did the D1 final between St Marys and Life. This entry was posted in News on May 22, 2014 by James Hinkin.